With advances in health care, eradication and effective control of fatal diseases, the world population is on the rise. One collateral effect is the enormous consequence of such an increase on natural resources including land. Humans with their might are encroaching into the forests- the natural habitat of wild animals. Consequently, whilst human inhabited lands increase, the forests decrease proportionally. As has been highlighted repeatedly, the areas in the world that are maximally impacted are the tropics, which are the areas of highest human population density. Here, forest areas are cleared, making way for habitable land (legal and illegal), agricultural land (be it subsistence farming, large scale crop cultivation, or as land for livestock grazing), stone quarrying, or the wood from the forest is used for fuel and furniture. The consequences of all these actions are colossal, and have led to brutally endangering the existence of flora and fauna. One group of animals that are gravely affected are the larger mammals, whose territory encompasses larger areas. The Royal Bengal Tiger, a subspecies of Tiger, is in the IUCN’s list of endangered species with only about 2500 animals alive today. A census report released in, 2011 by the National Tiger Conservation Authority, estimates the current tiger number in India at 1,706. Kerala, one of the most densely populated states in India and at 859 persons per sq km, is thrice as settled as the rest of India. Once blessed with luxuriant forests; nearly three quarters of the geographical area of Kerala was under dense forest cover at the middle of nineteenth century, human activities have restricted the forest cover to 20 to 24 % area, based on the source for the facts. The Western Ghats comprise a range of mountains along the western side of India extending to Kerala and is abundantly diverse and is the habitat of at least 325 endangered flora and fauna species. 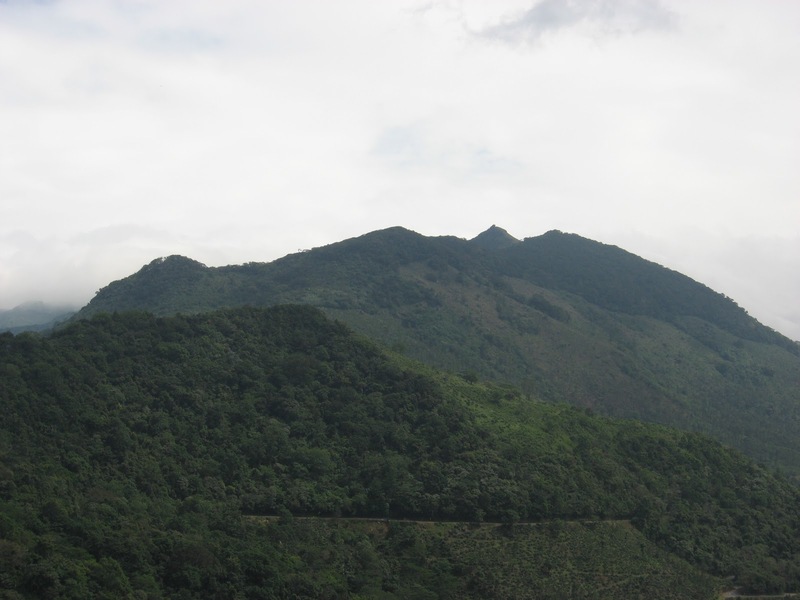 When the Western Ghats was designated as a UNESCO World Heritage Site, as one of the eight hotspots of biological diversity in the world, the Kerala minister of forests highlighted the enormous challenge of protecting this fragile yet diverse landscape citing the pressures of development and population growth. The forests in Kerala in the Western Ghats are of different types, depending on the area, elevation, proximity and other environmental factors, consisting of tropical rain forests, tropical moist deciduous forests, tropical dry deciduous forests, montane sub tropical forests, sholas, reed brakes, grass lands, pockets of temperate forests and barren hillocks. The diverse forests promote diversity of animals and are home to endemic species. Estimates suggest that 17% of the world’s tigers live in the Western Ghats. There are 17 wildlife sanctuaries and 5 national parks, and 1 community reserve – areas that are legally protected, in Kerala. However human- animal conflicts occur as have been previously discussed in our blog (http://ecoratorio.blogspot.co.uk/2011/07/fine-line.html) in areas where the activities of the parties overlap, and that is not that difficult in Kerala with such high population density. 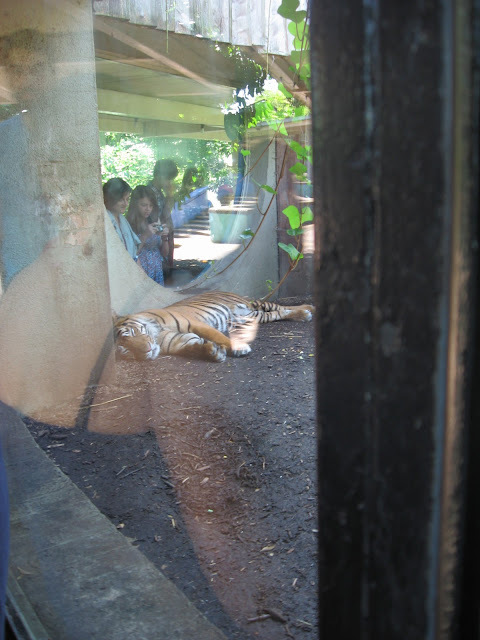 Occasionally cases are reported in the press, where a tiger, leopard, bear or elephant strays into the human communities. Whilst sometimes, the animals are coaxed into retreating from the human settlements, often their foray has disastrous consequences. The Western Ghats run throughWayanad which has a wildlife sanctuary that is shared by the neighbouring states and has a high tiger and elephant density. Earlier this year, a tiger strayed into coffee plantation in Wayanad district in Kerala. The tiger that had strayed into the plantation was reported to have preyed on domestic animals, was successfully trapped by officials and then released back into the wild ; an example of a situation which had gone according to plan. But such stories are exceptions as exemplified by the recent tragic incident. Recently, a tiger strayed into avillage area, again in Wayanad, reportedly preying on domestic animals. The wildlife authorities, attempted to tranquilize the animal. The first ‘tranquilizing’ did not affect the animal and the animal escaped. Meanwhile an ‘uncontrollable crowd’ had surrounded the forest officials on the witch hunt. After some time, the authorities and the mob found the agitated animal. The officials tried to tranquilize it again. The animal was understandably violently aggressive, and was this time was repeatedly shot at and killed by the forest officials. It was a 10 year old male tiger. Environmentalists and environmental enthusiasts are bitter and distressed at the outcome. One environmentalist who has worked extensively on biodiversity in the Western Ghats condemned what had happened as ‘barbaric and insane’. He commented, ‘The hunting of this tiger was carried out by creating panic and insecurity among the public, that this tiger which had killed so many livestock, will eventually become a man eater.’ Several questions remain as to why the authorities resorted to the cold blooded killing of the tiger in broad daylight. It has been alleged that when the tiger embarked on the cattle hunt; the people were infuriated, blocking roads, setting ablaze the forest office, and demanding that the tiger be shot dead and that the authorities appeased the people by killing the animal. The environmentalist added, ‘The mass search of the forest areas with gunmen and a huge uncontrollable crowd following them was not the way to tranquilize an animal.’ Some sections of the media say that the story is much more complicated than what it appears to be and that illegal land mafia gangs are behind this. Allegations are rife that these unscrupulous cliques, who wanted the forests to be cleared for land, incited scare among the people in the pretext of the tiger menace, and that the animal paid a heavy price. A task force will now conduct an independent enquiry. Despite such incidents, some hope remains, a wildlife survey of 2011 indicates that in the state, the elephant population is growing. Closer to home, a few weeks ago, one peaceful Sunday afternoon was interrupted by the sound of a gunshot. As the hunting season has started in the county, it is not uncommon to see people dressed in hunting attire, en route hunts and distant sounds of shots being fired are not uncommon. But this time, the deafening noise was closer to our house. It transpired that someone had shot two squirrels. For some time, it had been a common sight seeing squirrels scurrying up and down with nuts and burying them in the gardens. They had provided unlimited entertainment to the enclave where we live. Brown squirrels are classified as vermin and can be legally shot. However, I will never comprehend the mentality of macabre recreational shooting. PS: If you witnessed the tiger incident or have comments on the issue, please use the comments field to voice your opinions. A tragic story, though I am glad that there is some hope for the elephants.